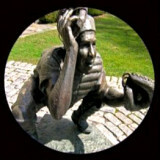 Cooperstown looks at you with two faces. 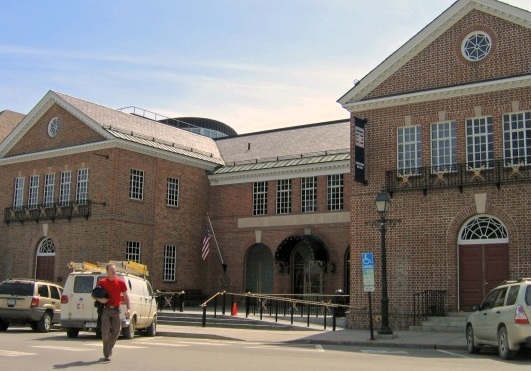 There's the baseball Cooperstown, with its dignified National Baseball Hall of Fame, with its rows of brick-faced Main Street buildings (selling baseball merchandise of every variety), and with its very special ball field right in the center of town. 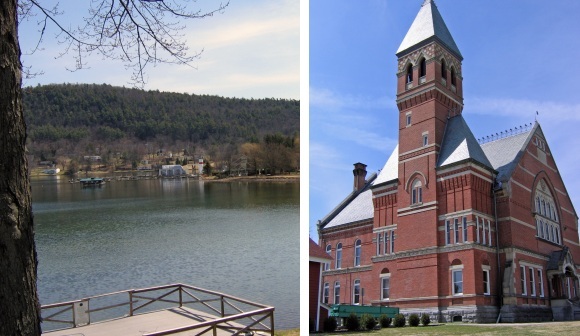 Then there's the other Cooperstown, a town of single-family homes, working their way outward from beautiful Otsego Lake, a town of parks, schools, churches, and, not to be overlooked, a dignified County Courthouse (built in 1880 and barely saved from demolition in the 1980s). Perhaps this sense of wearing two faces is common to most tourist-oriented towns. Yet somehow, the two faces of Cooperstown didn't seem out of harmony (though, of course, I was visiting well before the Summer tourist season). 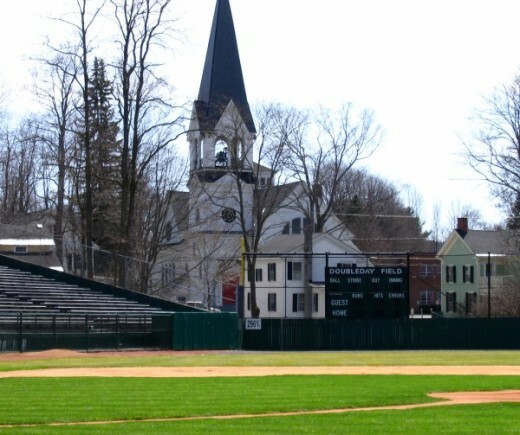 In fact, the photo of Doubleday field below seems to capture the linkage between the baseball town and the residential town. Typical of the residential housing near the center of Cooperstown. Views of Lake Otsego and the Otsego County Courthouse in Cooperstown. "We run in the morning, when the beauty of our town gives us pause. When it is ours and ours alone, the tourists still tunneling into their dreams of baseball, of Clydesdales, of golf. Oh, the beauty of the town, oh the sunrise over the town as we crest the hill by the gym all spread before us like a feast, our hospital with its fingerlike smokestack, beyond, the lake like a chip of serpentine, and the baseball museum, and the Farmers' Museum, and the hills, and in the foggy hollow, our houses fanned across the town ... And we are the kings of this town as we run, we own this town, some of us have owned it for generations ... ."